I LOVE TORONTO. It is at least in my top five favorite cities alongside places like Tokyo or Paris. I visited Toronto a few years ago with my family and remember thinking it was such an awesome city. Recently, I had the opportunity to go back and can confirm: Toronto is awesome. I was there to speak at the Handmade Soap and Cosmetic Guild Canadian Conference. This is the same conference I spoke at in Atlanta, only the Canadian version. This trip was extra special for a few reasons. 1) I obviously love any opportunity to connect with makers and small business owners. 2) A dear friend of mine from high school, who is going to grad school in New York, met me for the weekend! I am so grateful for good friendships that can be picked up right where they left off, despite how infrequent we see each other. 3) Did I mention that I LOVE Toronto? Because I love to travel, I always share my top three (usually four) spots a recommend visiting here on my blog. For Toronto, where do I even begin? It is a beautiful, diverse city with great food, shopping, and attractions. If you haven’t noticed from my other travel guides, my absolute favorite thing to do when I go on vacation is to wander aimlessly and see where I end up. Toronto is the perfect city for this. Another thing I should mention about Toronto is that the people are SO FREAKING NICE!! Everyone is wonderful. After wandering around and talking with the people, here are my top three things I recommend for your next trip to Toronto. Kensington Market is actually one of Toronto’s coolest neighborhoods; don’t let the name fool you because it isn’t an actual market.This is the place to go for vintage shopping. There’s a mix of affordable and highly curated vintage shops, some boutiques and some big stores to dig for gems. There are also a lot of restaurants, bars and coffee shops in the area too. We didn’t try any food places because we already had dinner plans for later, but there is a Jamaican/Italian fusion restaurant that I am definitely going to try next time. It is called Rasta Pasta. It is a fusion combination that I would have never guessed, but it looked really good. After being on our feet all day, we were ready for a drink and we stopped at a bar that I would highly recommend called Maison Close 1888. They have a cute patio and great handcrafted drinks. Not to mention, delicious bar snacks, such as poutine, with tater tots instead of fries. In addition to “just wandering around,” I am a fan of a good food hall and St. Lawrence Market fits the bill. For me, a good food hall gives you a chance to see and try a lot of the local flavors. Here, there is so much variety it can be hard to pick what to eat. Come hungry because everything looks delicious. I would like to call myself a bagel connoisseur, and I always on the lookout for a good bagel. This is one thing I miss about NYC because Austin is lacking a bit in the quality bagel category. When I was in Montreal a few years ago, I heard of the bagel place, St. Viateur Bagel, which unlike NYC bagels are wood fired. They are delicious and different. I was excited to try St. Urbain Bagel is St. Lawrence market to get my bagel fix. They were awesome! If you are looking to shop at local boutiques Queen Street West is the area! There are shops of all kinds along with tons of restaurants, coffee shops, and art galleries. I love grabbing a coffee and going from store to store to see what I can find. My biggest complaint is that we didn’t get to spend enough time in the area, and I would love to go back and explore more. I’ve become pretty picky about what I like to shop for and especially buy. I used to get whatever was around, but now I am looking for quality pieces that will last. One store that I am obsessed with that you have to check out is Frank and Oak. I am always on the prowl for plain white or black t-shirts, and I think this place has my new favorite. I am definitely going to order some more stuff from online. 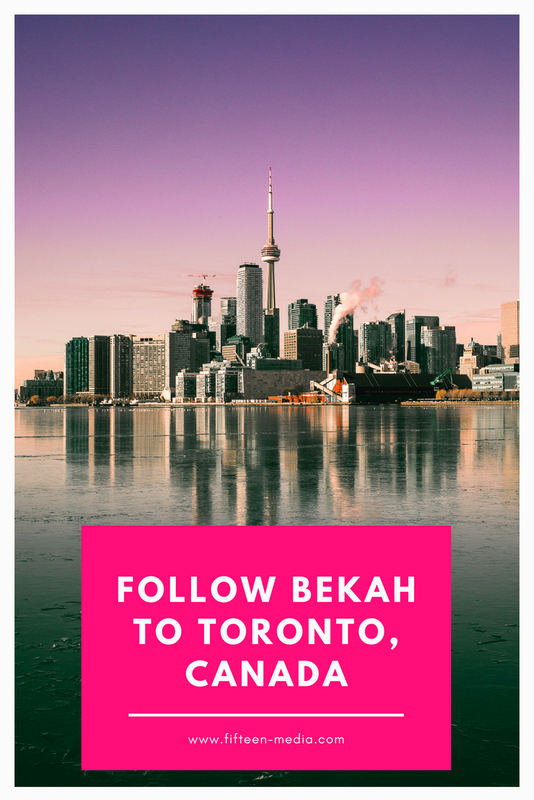 I like to keep these guides short and to the point, but I can’t not mention the Bata Shoe Museum too. I love this museum because it presents history in a way you wouldn’t really think about—the history of shoes! They talk about shoes from different cultures, religions and time periods. It is very cool, and I highly recommend visiting. The museum will probably only take an hour or so to go through it, but it is something different and interesting.